Japanese telecommunications firm SoftBank Corp. is on the move to strike a deal with DreamWorks Animation, the studio behind animated films such as "Kung Fu Panda" and "Madagascar". SoftBank which owns Sprint Corp. and recently dropped an offer to buy T-Mobile believes the deal could bolster its world-wide expansion plans to compete against much stronger rivals. Jeffrey Katzenberg, CEO of the Glendale studio, has been in talks to sell the company he created two decades ago to SoftBank. DreamWorks Animation was founded twenty years ago as a part of the studio created by Steven Spielberg, David Geffen and Jeffrey Katzenberg. The studio was spun off as a separate public company in 2004. Since its inception in 2004 as a public company, it has turned into a $700-million-per year powerhouse and is one of the most leading animation companies in the world of entertainment and media. Investors have been putting a lot of pressure on Katzenberg to enhance the company’s performance as it faces fierce rivalry from rival studios. The company posted a $15.4 million loss in the second quarter this year. About two years ago, Katzenberg considered selling the company however pulled out of those plans to concentrate on incorporating the business into a broad-based studio with diversified hold over TV, live entertainment, theme parks, and digital media. A year ago, it purchased Youtube teen network AwesomenessTV for $33 million. The move contradicts to Katzenberg’s plans revealed earlier this year, when he said that he was no more looking to sell the studio yet concentrate on growing its business. DreamWorks Animation has been endeavoring to expand its operations after a string of box-office failures in the most recent two years that brought on a sharp decrease in the company’s share price as well. In the previous two years the company has spent over $70.5 million for “Mr. Peabody & Sherman”, “The Crood”, which turned out to be a summer hit and this year’s “Turbo”. Last year when “Rise of the Guardians” failed at the box-office, it took a toll on its $87 million investment in the film. The failure was one of the reasons behind DreamWorks layoff of 350 employees. “How to Train Your Dragon 2”, the latest movie by DreamWorks has turned out to be a huge-success in China. 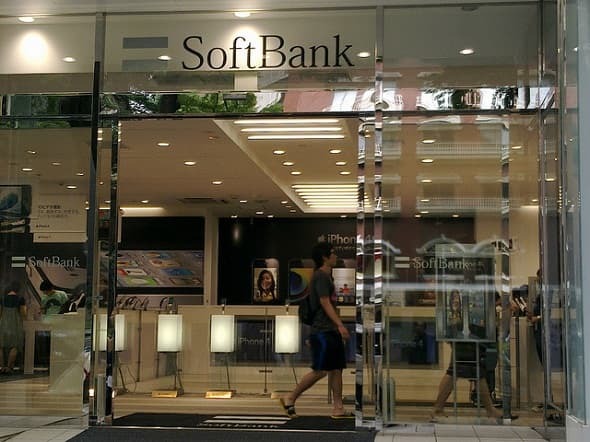 SoftBank owns several companies expanded in varied horizons such as wireless, broadband, Internet e-commerce and other tech-economy sectors as well as a major stake in Sprint. If the deal goes through, SoftBank will rake more cash than before.